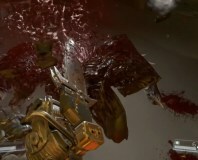 Id started work on Doom 4 afresh in 2011 despite having poured three years into the project already. Veteran Id developer Tom Hall has launched another Kickstarter project to create a 2D platform game creation tool. 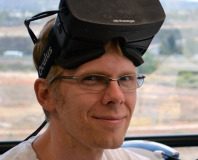 id's John Carmack has admitted that getting Rage to run at comparable levels to the Xbox 360 and PC versions on the PS3 is a problem. IDF FALL 2008: John Carmack spoke about multi-threading support in the new id Tech 5 engine during Renee James' software keynote at IDF. 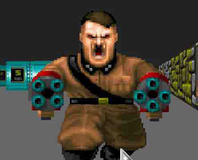 The creators of Doom, Quake, Wolfenstein and Dangerous Dave have just signed a new publishing deal with Electronic Arts. Some new details have slipped out on the new Castle Wolfenstein game, including plot and gameplay snippets. 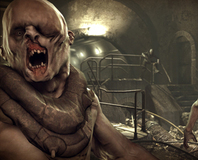 id's Todd Hollenshead has defended Doom 3 from critics, saying that the game was the most successful title ever made by the legendary developer. 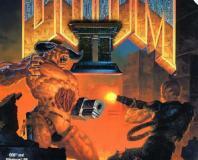 Doom 4 is announced and id Software is hiring new developers to work on the title. No, it isn't all the surprising, but it is good news. E3 looking empty this year? A number of respected publishers and developers have pulled out of E3 this year, making it look like the show floor may be a bit emptier than usual. 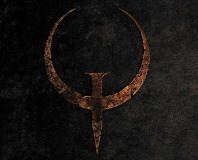 Carmack and co. have had a very busy week at QuakeCon '07, unveiling a new title and two Quake remakes. Check out the trailer for Rage within. A homebrew version of Hexen II pops on the PSP, bringing classic Raven gaming to Sony's handheld. Meanwhile, Sony make an interesting admission.